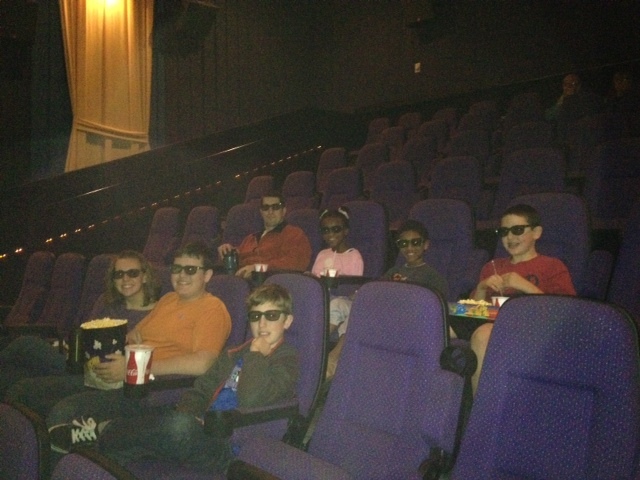 Our family enjoyed a fun start to 2013; a trip to the theater to see The Hobbit. It was our Christmas pre tired of the whole adventuring business, decided to go home. While the rest of the dwarves slept, he quietly loaded his pack on his back and slunk away. But before he could slip all the way gone, the dwarf on duty called out to him. “Hey! Where do you think you’re going?” he asked. By the look on the dwarf’s face, it was obvious Bilbo’s words cut deeper than the inconvenience of having their burglar so abruptly leave. His eyes filled with the desperate pleading of one who has put his hope in a hobbit deemed key in taking back the dwarf kingdom from Smaug; suddenly mixed with confusion and pain as he watches that hobbit so easily misunderstand their objective and walk away. Layers of truth and selfishness fold over one another in that single sentence. I have often uttered this same sentiment, maybe not outwardly, but instinctively from a tired, wounded, self-preserving soul. It is in those times where complete exhaustion mixes with utter chaos and undeniable fear, creating an elixir of flight over fight which, somehow, I’ve already drunk and is now and pushing me out the door. In extreme times of tragedy, the statement rings clear and true. Yet, even in seasons of quiet struggle, when life presents like the surface of glassy water but underneath a tsunami is tumbling forward and gaining momentum, the statement hangs on a hook of validity. Adoption is a blessing but it comes from a place of loss. Military life has brought me friends and a new part of the country to call home, but it is born out of threat of war. My husband’s medical career affords us the ability to provide well for our children, but it exists on the back of disease, pain and physical suffering. Of course, we movie-goers have the advantage: Bilbo belongs; he is the perfect burglar, he just doesn’t realize it. His hobbit-ness is needed for the adventure (which is really more than an adventure – it is a mission). And though there are parts of him not developed in burglary; under the pressures and challenges along the way he is becoming who Gandolf has claimed him to be all along. Bilbo’s belonging is a simple matter of point-of-view. Point-of-view….Sounds like the beginnings of another post. Hopefully this one doesn’t take me more than a month to post!